So I’ve been on a kick talking about thought leadership lately, as you’ve probably noticed, but I truly believe this is a difference-maker in so many businesses. And yet – not many businesses even know what thought leadership is, let alone are focused on building it. I talked a few weeks ago in my blog about how you can be a thought leader, even when you don’t feel like an “expert“, but I think it’s also important to talk about why thought leadership and influence is really important. When I talk about building your influence, it’s usually a very public thing that you’re doing – whether it’s sharing pictures, hosting Facebook live videos, or anything else on social, the goal of building your influence is to build an audience of people who find value in the expertise that you offer. And in order to build that audience, you have to be pretty public. I know that this is not a comfortable thought for most people, especially introverts like me, but it really doesn’t have to be all that scary. I’m not talking about becoming a celebrity – just sharing your journey and expertise with the people who care – which might be a very small, targeted audience. But why does it matter? Here are a few things you really need to consider when it comes to building your thought leadership. The most important thing you can build in any relationship is trust – especially when it comes to any relationship that involves buying and selling. Whether you are selling a service or a product, people have to trust you. This is all the more true for personal brands and smaller, independent companies. It’s great to be a good salesperson, but it’s even better if you can make a sale because the person trusts the quality of the service you provide. Incoming inquiries are always an easier sell then outgoing pushes. Most of us get our traffic and sales from word-of-mouth. Too often – that makes us falsely believe that we don’t need to have an online presence because our best clients come from word-of-mouth. But what if you could expand the number of people talking about you 5X, 10X or even way more than that? Social media is like word of mouth on fire – the more you can share your journey online, the more people are exposed to your services. As you earn their trust, they become your best ambassadors for referring business, even if they are not the right person to buy from you now personally. I know most people don’t think of technology as a relationship builder, but in a world that is so focused on automation and pipelines, a good old conversation goes a long way. 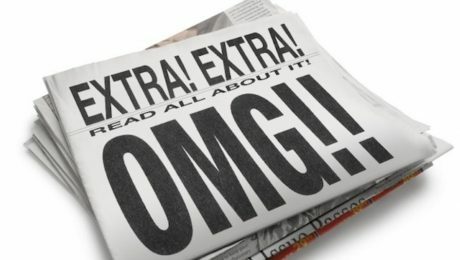 Being able to communicate directly with your target audience is an important benefit that not every company harnesses. You can compete much more effectively with similar businesses, just by creating relationships with your target audience by building your social media. The key with influence is that people not only know about you, but they really trust and have a relationship with you. This is invaluable so you want to maximize this opportunity in a world where most people are trying to disconnect from their target customers so they can operate at a larger scale. If I haven’t convinced you yet, I’d love to chat with you. Thought leadership is nothing new, but it is something that every business needs to embrace in an online/virtual way to really maximize the benefits. Join our new Event Hustler Community on Facebook to learn more from your event colleagues! “Attendify has always delivered best-in-class event technology for my clients. And now, they’ve empowered event organizers to easily harness the power of their event data,” said Keith Johnston, Managing Partner at Plannerwire.net. Pricing for Attendify Audiences starts at $250/month and is based on number of contacts in the system and other factors like integration options. To view a demo for Attendify Audiences or speak with CEO Michael Balyasny during or after IMEX America, please contact Rachel Jermansky at (609) 279-0050 x119 or rachel@resoundmarketing.com. Attendees using the Attendify mobile event app have a private social network where they can share photos, messages, view upcoming speakers and sessions, take quick polls, and add new connections, all while having access to a digital event guide. I am excited to announce that the Poken business has been acquired by GES, and will be joining the N200|GES team. GES is a global, full-service partner for live events offering a comprehensive breadth of services and technologies with unmatched global reach. The expansion aligns our vision with that of GES – to become the preferred live events partner offering the most comprehensive breadth of services and technology in the world. In the past 4 years the company has invested heavily in “event intelligence”, adding businesses such as N200, Blitz, OnPeak, ON Services and now Poken, to strengthen its capabilities and offer leading-edge digital services to its exhibition and corporate clients. Together with the N200|GES Visit platform, we now have the ability to support a truly intelligent event – one where event organisers can drive engagement and measure it. The Poken platform perfectly complements GES’ core live event services. Our team is excited to be part of the GES family. GES has an extremely talented and enthusiastic team, and we are looking forward to working with them to further develop our robust technology suite. Our team is focused on ensuring there is a smooth transition so that you continue to receive quality service from us. Our team members will continue serving customers from New York, Chicago, London, Sibiu and Lausanne. My new role within GES will be Group Commercial Director, leading our sales and marketing efforts in a similar capacity to my current role at Poken. I look forward to being able to focus on business development, evangelism, and supporting our customers better. Your satisfaction is important to us, and we want to hear from you. Should you have any questions or are interested in learning more, please contact your main Poken point of contact or visitexperience.ges.com/poken You can also reach out to me directly at stephane@poken.com. We’re back ‘atcha with your favorite Event Tech conference for planners, by planners – techsytalk LIVE – designed for the planner who hustles HARD, yearns to learn and is deathly afraid of being bored. Expect to hear from the crème de la crème of our industry sharing paradigm shifting insights on topics that keep us up at night as planners. Prepare to be challenged, enlightened and entertained!! 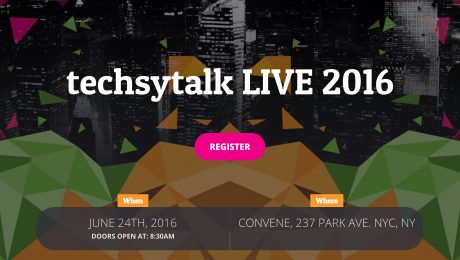 SAVE 25% TODAY on VIP TICKETS USING PROMO CODE TECHSYTALK (while supplies last).